"The Heart of North Carolina"
Welcome to Lee County NC . . . . The " Heart of North Carolina"! 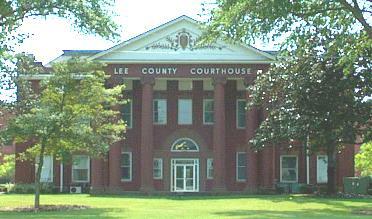 Lee County NC was formed from Moore and Chatham Counties by an act effective April 1, 1908, and was named for Robert E. Lee. Located in the central part of North Carolina, it is bordered by Chatham, Harnett, and Moore counties. Sanford is the county seat of Lee County. It was named for Col. Charles O. Sanford, the civil engineer in charge of building the Raleigh and Augusta Rail Line, a railroad that passed through the center of town, in 1872. Below are links to sites and phone numbers which may be helpful. Central Carolina Community College, Multiple sites in Lee, Harnett & Chatham Counties.